WhatsApp has rolled out a sizeable update to its iPhone app today, despite arriving with a seemingly insignificant “2.11.9” version number. Rather than a few large changes, WhatsApp has made a bevy of small improvements to fine-tune its experience on iOS. 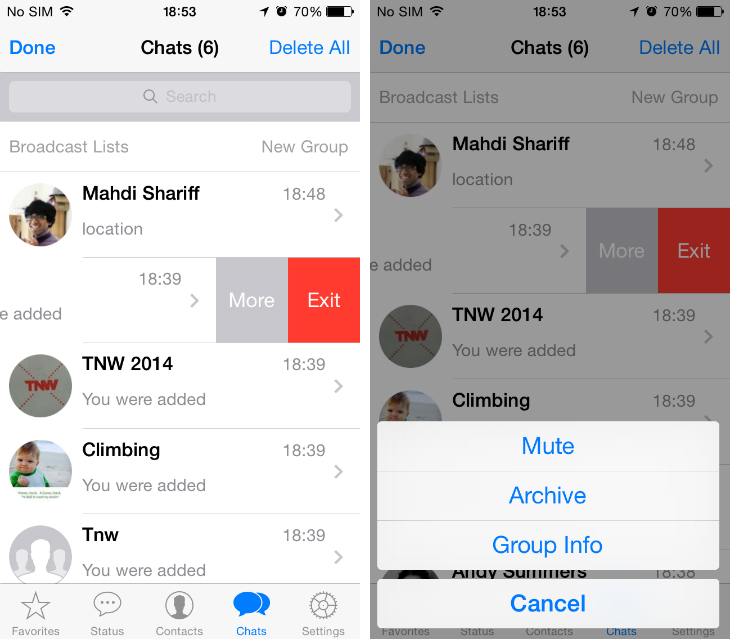 Conversations and groups can now be archived individually by swiping horizontally in the Chats section and selecting the More icon, followed by the new Archive option. 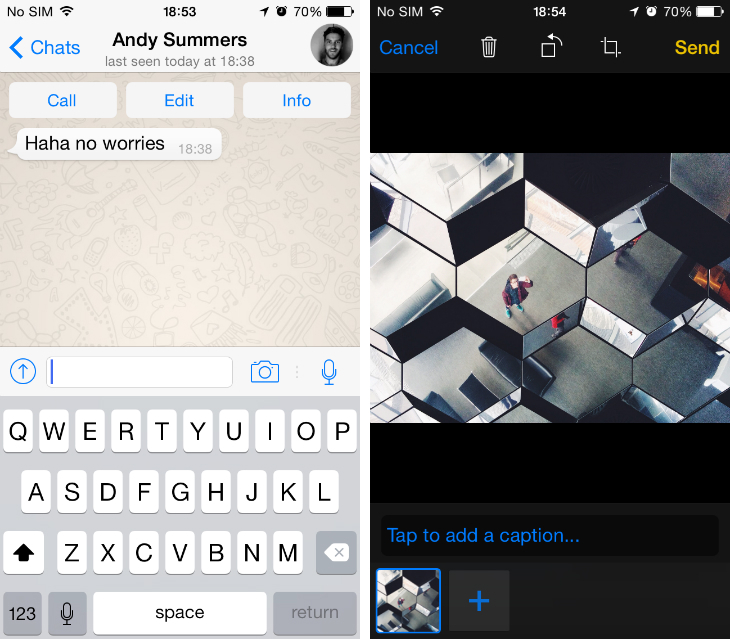 Captions can now be added to photos and videos; at the bottom of the screen where you punch in your message. WhatsApp has also added a dedication camera icon for faster photo-sharing. Not the most inventive additions, but it makes the overall experience faster and more intuitive. iPhone 5s users can share slow-motion videos for the first time and all iPhone owners have been given the ability to crop clips before sending them to anyone else. Location-sharing has also been improved, with the option to choose whether your position is displayed with a satellite or hybrid map. Furthermore, users can swipe around the map to manually change the location of their pin.